​Rupert Murdoch’s News Corporation will not face prosecution over allegations that several of its subsidiaries had been intercepting personal voicemails and bribing public officials. 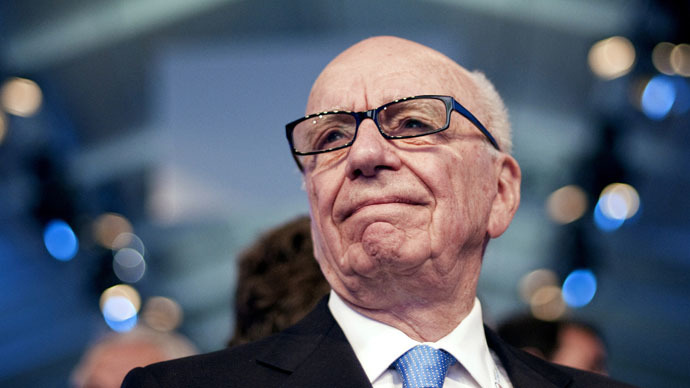 The US Department of Justice said in a statement that it would not prosecute News Corp and 21st Century Fox, part of Murdoch’s global media empire, over a major phone hacking and bribery scandal that erupted in the United Kingdom four years ago. News Corp faced a possible investigation under the US Foreign Corrupt Practices Act (FCPA), which makes it illegal for US companies to bribe officials in foreign countries. With the news, it appears that Murdoch will avoid paying a fine that experts say could have been in excess of $800 million. Analysts said News Corp escaped a full-blown US investigation over the lack of apparent evidence that the media company hacked phones of individuals who were inside the United States. One past episode that could have sparked a DOJ probe involved actor Jude Law, who said the now-defunct paper News of the World hacked his mobile phone in 2011 at New York’s JFK airport. Norman Siegel, the US attorney who is representing the group, said they were disappointed by Monday’s DoJ announcement. In 2011, the darker side of British media was thrust into the public spotlight when it was discovered that reporters working at two Murdoch-owned popular tabloids, the Sun and the News of the World, were accused of intercepting mobile phone communications of private citizens and making payments to public officials. Public outcry reached fever pitch in July 2011 when it was revealed that reporters from News of the World had gained access to the voicemail account of missing schoolgirl, Milly Dowler, 13, following her disappearance in March 2002. Milly Dowler’s body was discovered six months after she went missing. The sensational scandal forced Murdoch to shutter the News of the World, which had been in publication for 168 years prior to the phone hacking scandal, while both he and his son James were called to testify before parliament. The UK probe reached all the way into the highest levels of government when it was discovered that Andy Coulson, the paper’s former editor who went on to become media advisor for Prime Minister David Cameron, was found guilty in July 2014 of conspiracy to intercept voicemails. Coulson was sentenced to 18 months in prison, but was released after serving five months. Five other News of the World journalists were also found guilty to the hacking charges. Rebekah Brooks, who edited the Sun and the News of the World before being promoted to CEO of News International chief executive, was cleared of charges relating to phone hacking, and bribing public officials. Meanwhile, four former or current reporters for the Sun have been found not guilty on charges relating to making bribes to officials.